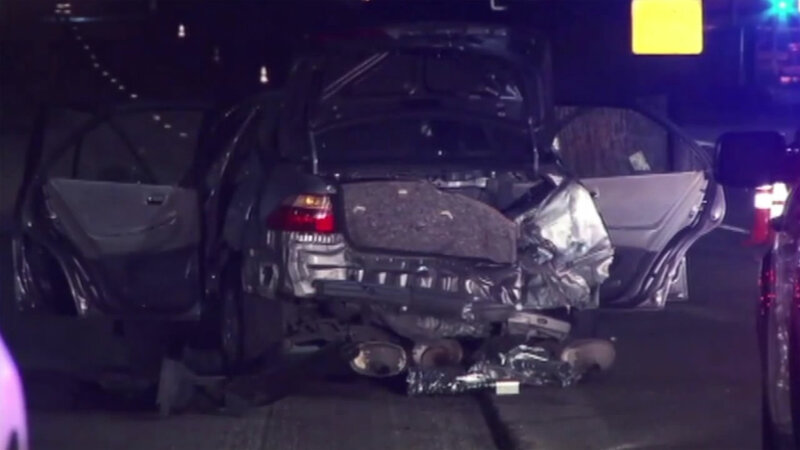 OAKLAND, Calif. (KGO) -- One man is dead and another charged with DUI after an accident on I-580 in Oakland. It happened just after midnight Saturday in the westbound lanes, near the Lakeshore off ramp. The California Highway Patrol says a driver caromed off a wall into a coned off construction zone, where Caltrans crews were repaving the roadway. A subcontractor working for Caltrans was struck. He was thrown approximately 100 feet and died at the scene.